We have been through a fair bit haven’t we? I have always hated you – well throughout my teens and twenties focusing on your size. The wobble when I walked, the paleness of you in Spring and Summer. When I started running in my mid twenties it was always baggy numbers, full length or cropped. Any exercise class was done in baggy trousers, in fact most of my clothing on the bottom half were baggy. I remember measuring my thighs repeatedly – cheering when the number decreased. Then things changed. I’m not sure when it happened. 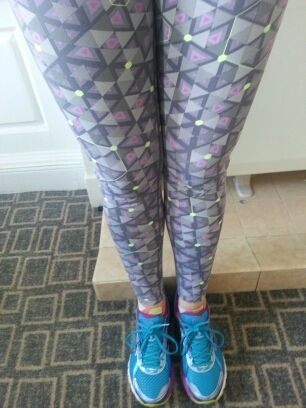 It might have been when I hit the ‘I’m a runner’ feeling and bought my first pair of running leggings (still have them), maybe it was during the training for my second half marathon as we ran to Prestonpans eating up the miles. Maybe it was when we trained for the seven hills as we hauled ourselves up Blackford Hill pausing to admire the view and get my breath back! Then after the fall we started to cycle and I developed a new found respect for you. Your shape changed again and I enjoyed skinny jeans again. Now I am grateful for your muscles and your shape. I can’t run at the moment or cycle but you have kept me walking and I know that once I start to move faster you will find your strength again! I no longer worry about your shape in the way I used to – now the fact you have helped me with all my hobbies and have developed muscles I never knew I had means I accept you and love you as you are. You have kept me in the saddle for so many adventures and kept me running and cycling with friends. You helped me swim in the Red Sea and see all that amazing reef life! You helped me to keep up with Chop and to tear around beaches. Sorry about all the skint knees and bruises as an adult, does the coconut oil as moisturiser make up for those? 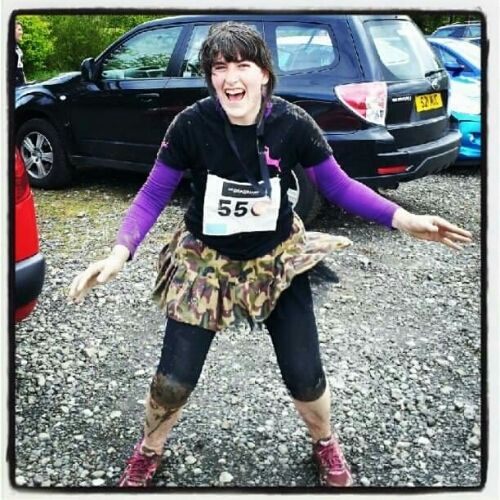 Now about the tough mudder…. It’s amazing what a perspective of gratitude can do. Thanks for sharing this. Aww cheers Jesse. Thanks for the comment, made me smile.